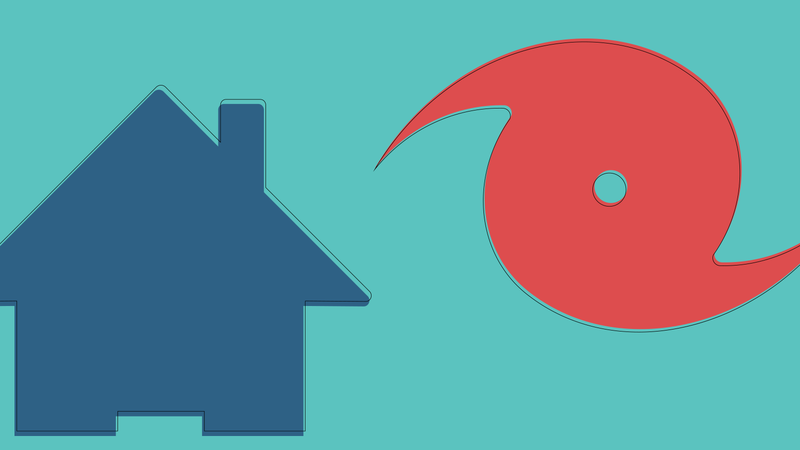 Inspired by the board game Battleship, a simulator developed by researchers in UCF’s E2i Creative Studio is helping families in Ft. Lauderdale, Florida, learn how to prepare for hurricanes. Funded by the National Science Foundation and located in the Museum of Discovery and Science, the Hurricane Simulator challenges players to either build the perfect storm or the perfect home for survival within 2.5 minutes. Through repeated rounds, users learn how their virtual decisions can keep them safe when practiced in the real world. Location – If you live in a beach area be sure to protect your home with sandbags. Urban dwellers should secure outdoor items — such as furniture and toys — inside, and make sure their neighbors have as well. Rural homeowners should collect natural debris and secure it in a garage or sealed structure. Building Materials and Design – While wood frame homes are cheaper, concrete homes are much stronger to resisting storm impact. Homes with hip, or pyramid-shaped, roofs are more stable for wind resistance than flat and gable, or triangular, roofs. Hurricanes classified as Category 2 and above are able to completely destroy older mobile homes. Home Protection – Storm shutters and garage braces are the best way to secure your windows and doors; however plywood is cheaper and can provide protection when installed properly. While tape is most easily available, it is ineffective for protection. Supplies – Generators can help with power outages for days or weeks, but they require a consistent gas supply. Purchase plenty of batteries to keep radios and flashlights powered. Be sure to stock up on enough water for at least three days with a minimum of one gallon per day per person. Time of Year – While the Atlantic hurricane season starts in June, more than 80 percent of hurricanes form mid-August through mid-October. This is because hurricanes develop in the Caribbean earlier in the season, while later-season storms form off the African coast and grow as they cross the Atlantic. Intensity – A storm’s intensity is influenced by ocean temperature. An ocean temperature of more than 79 degrees Fahrenheit is needed for a hurricane to begin forming. As the storm moves across warm water, it strengthens. Speed – Category 1 storms start at 74 mph and can increase to a Category 5 once winds reach 157 mph or more. On average, a hurricane’s forward speed is about 15 to 20 mph, which can bring heavy rain when stalled. Storms with a forward speed accelerating more than 60 mph result in less rainfall. Size – A hurricane’s eye is usually 20 to 40 miles across, with winds for a small storm extending 25 miles out and winds for a large storm extending 150 miles or more out. While larger storms cover more area, smaller storms, like Hurricane Charley (which was 37 miles wide at landfall), are still able to cause major damage.